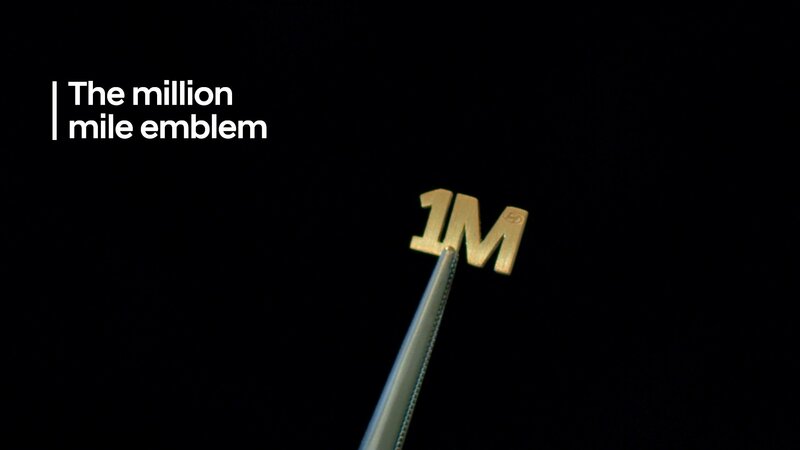 When we hear about any car touching the million-mile mark, it reminds us of the Volvo man. The latest person to do it is Farrah Haines who has covered one million miles in her Hyundai Elantra in just five years! That dumbs down to 200,000 miles a year, which is way above average when compared to a general American car that drives 14,000 miles annually. 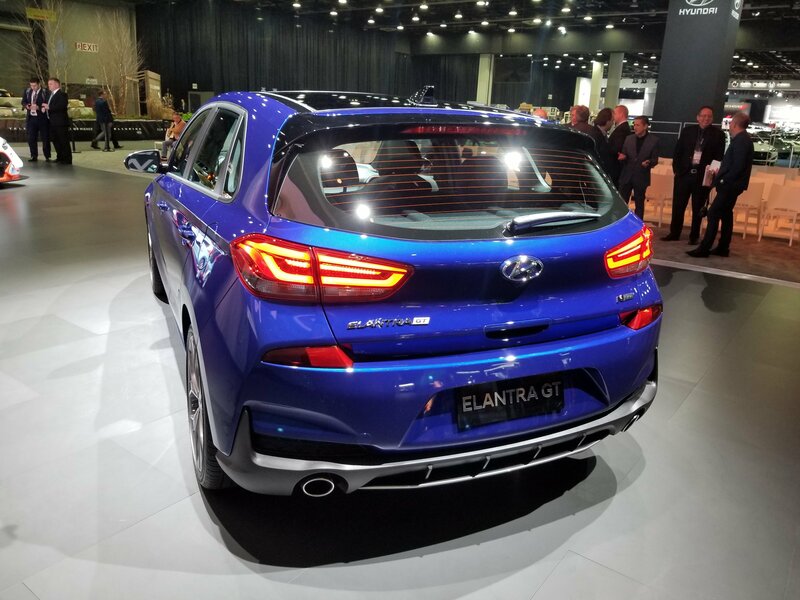 The 2019 Hyundai Elantra Sports a considerably different look in the front and rear and was revealed in Park City, Utah at a specially organized event. It’s not all-new, however, as it is actually a facelifted version of the car that appeared only two years ago. As it is one of the most important Hyundai cars in the world, the new Elantra comes with comprehensive safety features and more tech than ever before. You will be able to buy it later this year as a 2019 model. Anywhere in the world apparently, as the event held yesterday in Utah actually had global connotations. This is the new, global Hyundai Elantra. 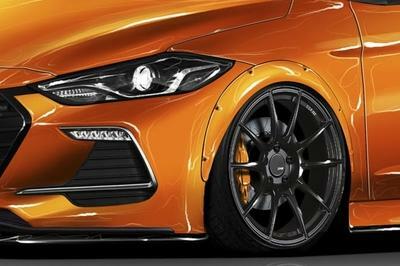 The Hyundai Elantra is getting a SEMA makeover, and it looks, well, you be the judge. After seeing the overhaul Blood Type Racing gave to the Elantra, it’s clear that this isn’t your mom’s daily driver anymore. The creation is officially called the BTR Edition Elantra Sport Concept, and it’s the result of yet another collaboration between the Korean automaker and Blood Type Racing. 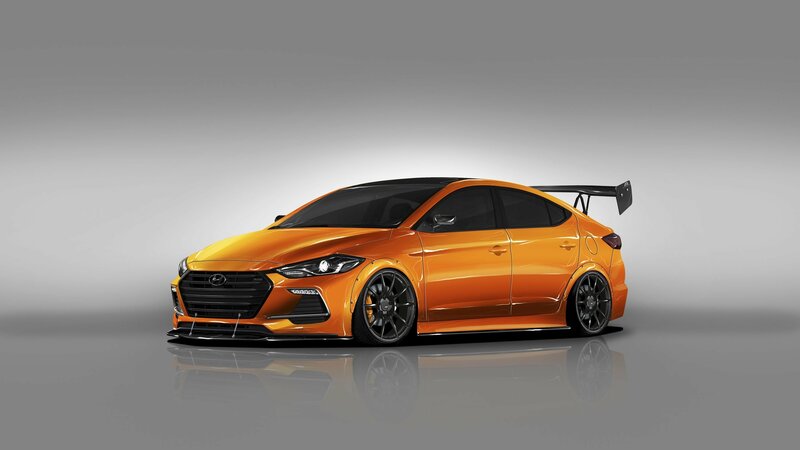 You may remember the latter from a separate build it did for the Ford Focus ST that’s also heading to SEMA, but the company’s involvement with Hyundai actually stretches for a few years now. 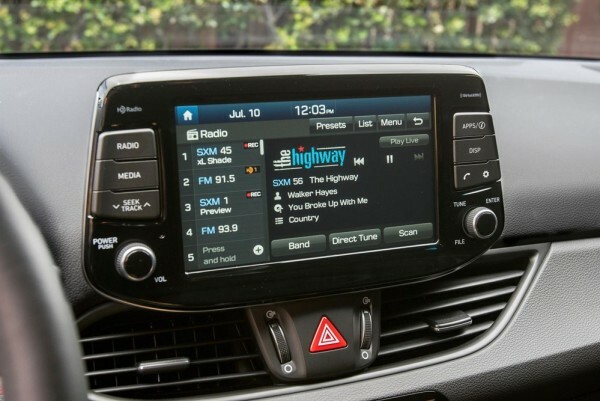 Back in 2014, the company created a program for the Hyundai Genesis Coupe and followed that up a year later with one for the Hyundai Veloster. This year it’s the Elantra’s turn in the spotlight, and it’s getting a slew of modifications that range from a new aerodynamic body kit all the way to tweaked suspension. The end result speaks for itself, as the Elantra has transformed into something you’re more likely to see on the set of a Fast and Furious production than the parking lot of your local Barnes and Noble. As you can see, a lot of work was done to the exterior of the Hyundai Elantra, and I’m not just talking about the eye-cringing Glasurit Arancio Borealis paint job from BASF. It’s really just fancy speak for a bright orange that Blood Type Racing thought would be a good choice for the compact sedan. I suppose they’re entitled to that, but I’m not a big fan of it. What I am a fan of is the extensive aero kit the Elantra was given. The components come by way of AeroTek and include a lip spoiler in the front, side skirts on the side, and a similar lip spoiler in the back. Then there’s the huge, APR GTC-200 GT rear wing sitting on top of the trunk. It’s next to impossible noticing that one. Work on the exterior also includes custom headlights from Diode Dynamics and a set of 19-inch SSR GTX01 wheels wrapped in Toyo T1 Sport tires. Note: Standard Hyundai Elantra pictured here. There are no photos of the interior at the moment though it’s been mentioned that the cabin gets a re-stitched OEM-style sport interior that includes a new carbon fiber steering wheel from SoCalGarageWorks to go along with diamond-stitched floor mats and ambient interior lighting. The tuner also describes the presence of anti-roll bars from Pierce Motorsports in the cabin. This suggests that the interior of the Elantra has also been reconfigured to the point that the rear seats could have been taken out completely. The upgrades in this section of the Elantra won’t blow anyone away, but the function-over-form approach does lend to Blood Type Racing’s goal of giving the compact sedan a new identity without sacrificing its all-around ability to remain a “daily driver” for its owners. Separate of all that, there are more features that will likely be unveiled at the 2017 SEMA Auto Show when the doors open next month. 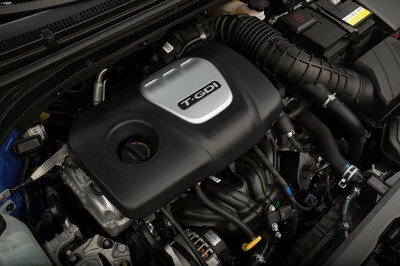 The specific power figures have yet to be announced, but we do know now that the sedan will retain its standard 1.6-liter turbocharged four-cylinder engine. Helping the engine receive more power is an optimized ECU unit, a new intake system, and a water and methanol injection system that comes all the way from Devil’s Own. It’s unclear how many extra ponies Blood Type Racing was able to extract with all the modifications, but it is important to remember that a standard Elantra is good for 201 horsepower and 195 pound-feet of torque. Is it safe to say then that we’re looking at an output here that’s comfortably north of 300 horsepower and 300 pound-feet of torque? Given its physical make-up, I’d actually be disappointed if it was anything less than that. The sporty nature of the BTR Edition Elantra Sport Concept is also characterized by how BTR went all-out in giving the Elantra significant chassis and suspension upgrades. There’s a new HSD coilover setup, for instance, an improved chassis brace, and an upgraded strut tower brace. Nobody goes to lengths like that if it doesn’t mean significant performance changes to a car, something that I’m becoming more and more sure of is the crux of this whole creation. I’m not a fan of the bright orange paint finish, but I am intrigued about everything else that Blood Type Racing did to the Hyundai Elantra. The body kit is impressive, as is the reworked interior – if it does have one. There also looks to be a promising engine upgrade there somewhere, and the magnitude of the chassis and suspension improvements should not be overlooked. Overall, this looks like a fierce Hyundai Elantra, a far departure from its standard – and far more subversive counterparts. Here’s to hoping that we get to see this creation in action sometime in the future. I’d be very interested to see if all these upgrades amount to something special. 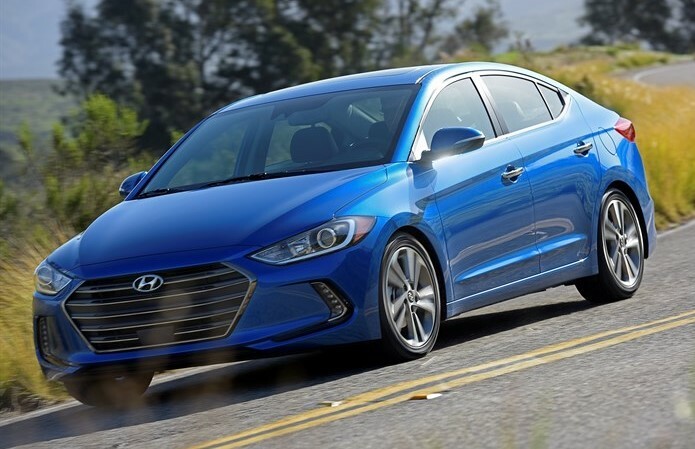 Read our full review on the 2018 Hyundai Elantra Sport. Read our full review on the 2017 Hyundai Elantra. Hyundai Motors America announced the MSRP for the new Elantra GT hatchback, known in Europe as the i30. The stylish and well-equipped 2018 Hyundai Elantra GT starts at $19,350 for the base model and $23,250 for the turbo-powered GT Sport model. The regular 2018 Hyundai Elantra GT is powered by 161 horsepower 2.0L GDI 4-cylinder engine with either a six-speed manual or available six-speed automatic transmission. The GT Sport gets a 201 horsepower 1.6L Turbo GDI mated to a six-speed manual or seven-speed Dual Clutch Transmission with paddle shifters. Both models benefit from multi-link suspension, large brakes and 18 inch wheels, so at least on paper they should be pretty decent to drive. 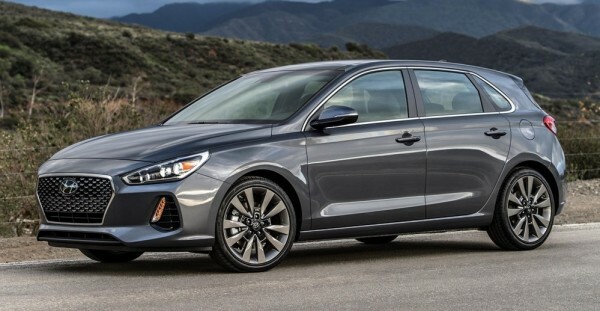 As for the features and equipment, 2018 Hyundai Elantra GT has a long list of standard and available goodies, namely 8-inch audio display that includes Apple CarPlay and Android Auto, rear view camera, wireless charging, Electronic Parking Brake with Auto Hold, heated and ventilated front seats, new generation eight-inch navigation system that features Blue Link with three-years of standard service and a powerful Infinity premium audio system with seven speakers including a subwoofer. You even get Automatic Emergency Braking w/ Pedestrian Detection, Lane Keep Assist, High Beam Assist and Smart Cruise Control that features stop/start capability, but only on the Sport model. The post 2018 Hyundai Elantra GT – Pricing and Specs appeared first on Motorward. Hyundai introduced the Elantra for the 1991 model year, but at that time, even this now well-regarded model was considered a throw-away econobox at best. Hyundai has evolved as a brand a lot over the last 31 years, as has its long-running Elantra nameplate, which entered its sixth generation for the 2016 model year. As was the case with the previous-gen model, the new Elantra has been expected to spawn a GT model, and sure enough, Hyundai showed up to the 2017 Chicago Auto show with not one, but two variants in tow. Offered with either a 1.6-liter, turbocharged mill in Sport trim or a 2.0-liter NA mill in the entry-level trim, the GT can be had with either 201 horsepower or 162 horsepower, respectively. The new GT is now more rigid than before (by 22 percent,) sits lower, is wider, and shed a total of 62 pounds. Because of its hatchback nature, the GT can hold 25 cubic feet of cargo with the rear seats in the upright position and more than double that the rear seats laid down. What’s more important here is that the new Elantra GT will have its work cut out for it on the market. 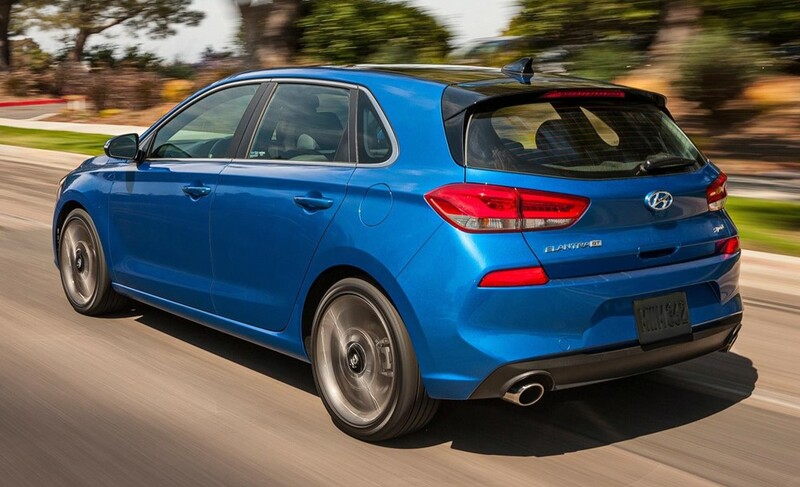 After all, the Elantra GT doesn’t exactly spring to mind when someone mentions hot hatches, despite the fact that it competes against some strong models like the Mazda3 and Ford Focus hatchback, among others. So, will the new Elantra GT have what it takes to drive folks into Hyundai dealers for the brand’s latest hatch? Well, things look promising but Keep reading to see what we think about it and to learn more about how it compares to the competition. Update 08/03/2017: Hyundai has announced pricing for the 2018 Elantra GT. Prices start out at a relatively low $19,350 and increase to just over $24,000 for the range-topping model. Check out the details in the Prices section below. The Hyundai Elantra is completely new for 2017, including its chassis, suspension, powertrain, and interior. But Hyundai didn’t stop there. The Korean automaker added two distinctive trim levels atop the standard Elantra compact sedan. In fact, it might be more appropriate to consider them sub-models thanks to their deep changes and laser focus. They are the fuel-sipping Elantra Eco and this, the road-hugging Elantra Sport. I recently spent two weeks with the Elantra Sport, driving it around familiar roads along my daily commute and throwing it around corners on quiet country roads. This isn’t my first foray into Hyundai’s newest Elantra. Actually, it’s my third, having driven both the 2017 Hyundai Elantra Limited and 2017 Hyundai Elantra Eco soon after the car’s launch. These three cars couldn’t be more different despite being cut from the same cloth. As their titles suggest, each has its intended function, with the range-topping Limited trim being the swankiest and most plush, the Eco being the most frugal with fuel, and the Sport being, well, the most willing dance partner of the trio. The 2017 Elantra Sport is up against some stiff competition, found mostly in the Honda Civic Si and Nissan Sentra NISMO. But perhaps the Elantra Sport’s biggest rival will be its own recognition in this niche segment. The Civic Si rules with the weapon of a household name – something Hyundai will have to establish for its compact sports sedan. Thankfully, the Elantra Sport has all the right makings for success. Keep reading to see what I mean. It’s hard to believe Hyundai has six generations of Elantra models on the road, yet, here we are. The latest model actually debuted for 2017, making it among the newest in the compact sedan segment. The sixth-generation also brings several distinct trim levels. These include the standard Elantra, the fuel-sipping Elantra Eco, and the road-hugging Elantra Sport. The past two weeks have seen an Electric Blue Elantra Sport sitting in my driveway, so I’ve had plenty of time to develop a love/hate relationship. Fortunately, the balance sways far more to the love side of the equation. Hyundai has done a good job modifying the Elantra for spirited driving. In fact, the Elantra Sport gets an entirely different rear suspension over non-Sport models. Gone is the traditional torsion beam setup, swapped with an independent, multi-link system with stiffer coil springs and dampers. Oh, and the drivetrain is Sport-specific, too, with a 1.6-liter turbocharged four-cylinder making 201 horsepower and backed by a six-speed manual or a dual clutch automatic. Hyundai then bolts on bodywork that’s more athletic and youthful. But not everything is rainbows and butterflies. Check out my list of Highs and Lows of the 2017 Hyundai Elantra Sport. The Hyundai Elantra has seen some big changes for 2017. It’s completely new, in fact, with its new chassis having more high-strength steel and structural adhesives than before, new looks inside and out, and more trim options to choose from. One of these is the Elantra Sport– a surprisingly heavily upgraded version of the Elantra that focuses on providing a fun ride without killing its everyday livability. I’ve spent two weeks with an Electric Blue Metallic example, racking up mile around town and rolling down the interstate. I’ve hauled people, drum equipment, and groceries like any average consumer, all the while getting a feel of how Hyundai engineered the Elantra Sport to behave. But I’m leaving most of my driving impressions for the Elantra Sport’s full review. Right now, I’m looking at what makes the Elantra Sport different than its non-Sport counterparts. There’s actually some surprising differences – not just some cosmetic revamp with Sport badges slapped on. Korean car makers upgrades their cars so often, sometimes it is hard to keep up. So if you had your heart set on, say, a 2017 Hyundai Elantra, you need to upgrade your plans because there is a new one out now and it packs enough ‘new’ stuff to justify the change. The 2018 Hyundai Elantra sedan is more feature-rich than ever. 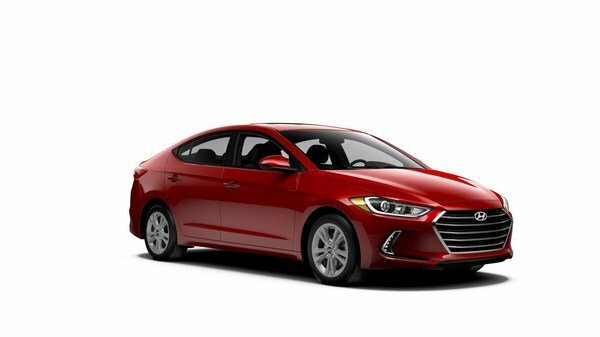 2018 Hyundai Elantra sedan comes in six different trims with most them getting Blind Spot Detection and Rear Cross Traffic Alert as standard. Also available are Automatic Emergency Braking with Pedestrian Detection, Lane Keep Assist and Smart Cruise Control, and seven airbags including knee bags. 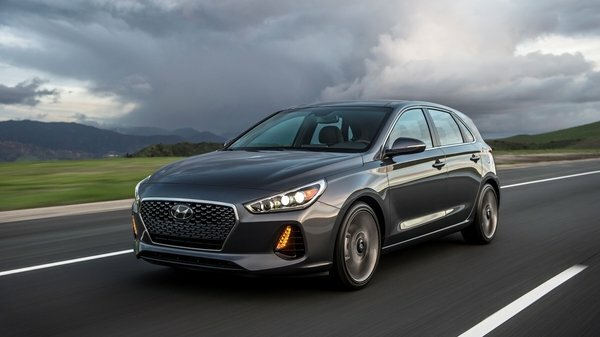 Now if we cut to the chase and let you know about the upgrades you get with the 2018 Hyundai Elantra, the list includes machine gray exterior color for all trims, power Sunroof and Blind Spot Detection with Rear Cross-traffic Alert and Lane Change Assist standard on Sport trim, gloss black interior accent and auto-dimming rearview mirror with Blue Link and HomeLink standard on Limited model, and Popular Equipment Package for SEL trim with Blind Spot Detection with Rear Cross-traffic Alert and Lane Change Assis, Seven-inch Display Audio system AM/FM/HD Radio/SiriusXM with six speakers, Rearview camera with dynamic guidelines, Android Auto, Apple CarPlay, 16-inch alloy wheels with 205/55 R16 tires, Four-wheel disc brakes, Heated outside mirrors, Auto headlamp control, 3.5-inch TFT mono cluster display, and Rear cup holders. The post 2018 Hyundai Elantra Specs and Details appeared first on Motorward. Here’s the scenario – you want a car, but it has to be the right car. It’s gotta be practical and comfortable, but it can’t be a complete snooze-fest behind the wheel either. You don’t want a crossover, and a sedan isn’t gonna cut it. What you want is a hatchback, something with a little zest and personality, but something that won’t break the bank. Thankfully, there are plenty of options out there, but which to choose? To help you decide, we’ve gathered six of the top contenders and put them head-to-head in the following comparison article. Let’s get ready to rumble. To keep it all apples-to-apples, each of the entries in our comparison comes packaged in a five-door body style, gets standard FWD, and is instilled with at least a hint of sportiness. Each is also tagged with an MSRP around the $20,000 mark. 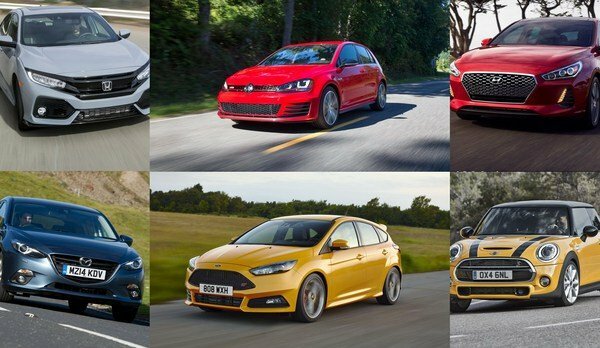 With criteria like that, we decided to include the Ford Focus ST, Honda Civic Hatchback, Hyundai Elantra GT, Mazda 3 Hatchback, Mini Cooper Hardtop Four-Door, and Volkswagen Golf GTI. 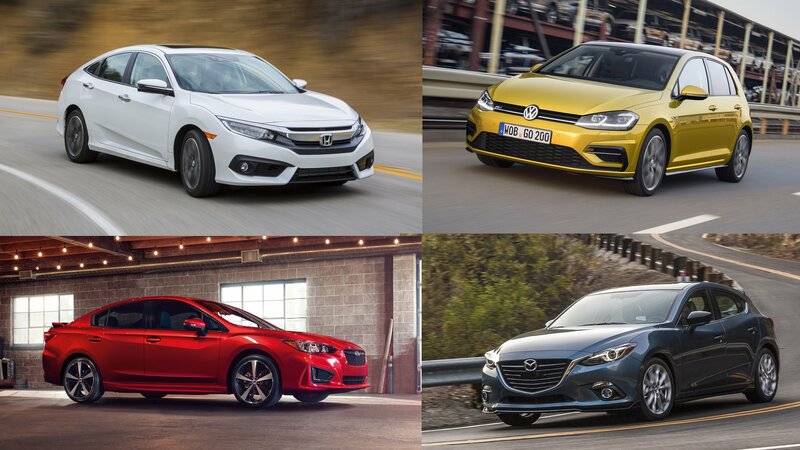 While all six of these hatchbacks are solid choices in their own right, the question remains – which is the best? Read on for our take. As promised, Hyundai took to the Chicago Auto Show with a hot new model that is supposed to teach Americans a thing or two about the appeal of busy performance in a small package. The 2018 Hyundai Elantra GT packs 201 hp and 195 lb-ft of torque and can be had with a six-speed manual gearbox. That is for the GT Sport. You can also get a 162 hp model if you think an extra 40 hp would land you in trouble. 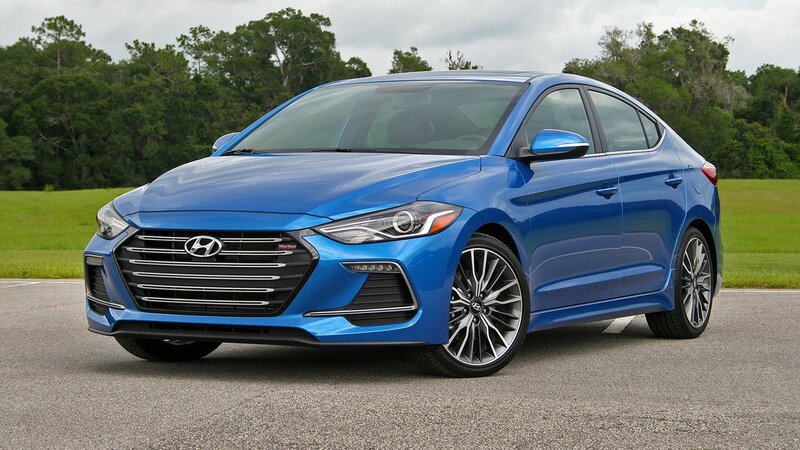 But besides the amount of power one can have with one’s 2018 Hyundai Elantra GT, the car offers more sporty goodness in form of aggressive styling with a built in aero kit, lowered ride height and larger wheels than standard models, and a host of comfort and convenience features. In becoming a sports machine designed mainly for spirited driving 2018 Hyundai Elantra GT has not forgot that it is still very much a Hyundai at heart. So you get a spacious cabin and a list of features that include standard vertical LED daytime running lights, standard eight-inch display audio with Apple CarPlay and Android Auto integration, available dual-zone climate control, high and low beam LED headlights, wireless smartphone charging, Amazon Alexa Blue Link remote starting, and Blue Link heated features. 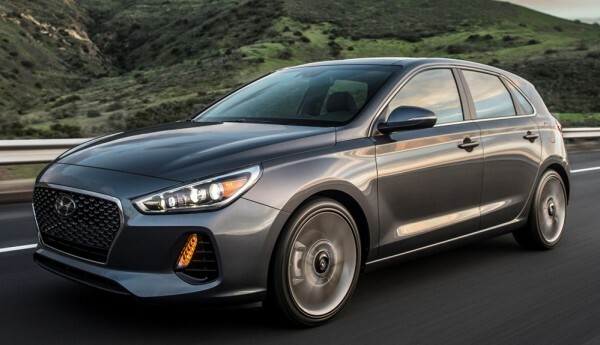 The post 2018 Hyundai Elantra GT Goes Official appeared first on Motorward. 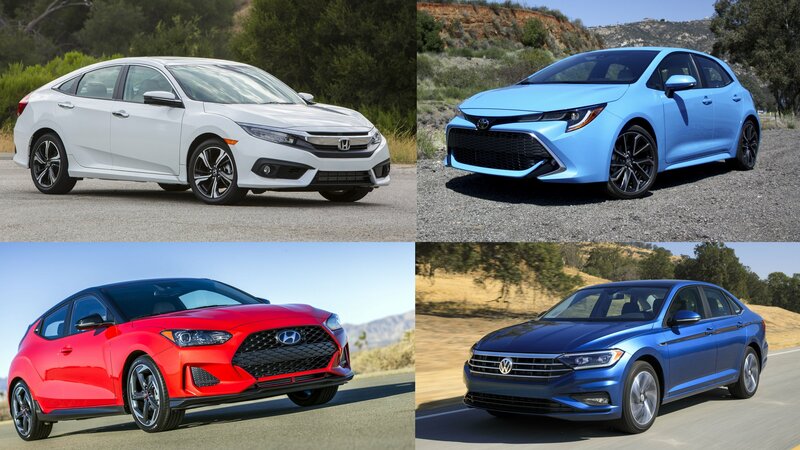 Sure, crossovers are still the hot-ticket body style, but if you’re looking for practicality in a more car-like package, the tried-and-true compact hatchback formula isn’t going anywhere anytime soon. Case in point – the hugely updated new Elantra from Hyundai. It’s called the Elantra GT, and it was just introduced for the 2018 model year at the Chicago Auto Show. Essentially an Americanized version of the i30 Euro hatch, the Elantra GT will be offered in two trim levels, including the base model, and the hot-to-trot GT Sport. Both get refined styling cues, tons of cabin space for people and things, and a solid lineup of tech features, while the faster GT Sport throws in bigger wheels, independent rear suspension, and 200 horses under the hood. Outside, you’ll find a body that’s now longer and wider than before, and it sits closer to the ground. LEDs were used for the daytime running lights, while additional LEDs can be had for the high beams and low beams. Moving inside, the Elantra GT offers nearly 25 cubic feet of cargo room behind the rear bench, while up to five passengers get 96.5 cubic feet of passenger room. There’s a standard 8.0-inch display screen, plus Apple CarPlay and Android Auto support. There’s also Amazon Alexa integration for remote start and heating features. Options include dual-zone climate control, a wireless phone charger, leather upholstery, and alloy pedals. Safety and convenience tech incudes available adaptive cruise control, automatic braking, and lane keep assist. 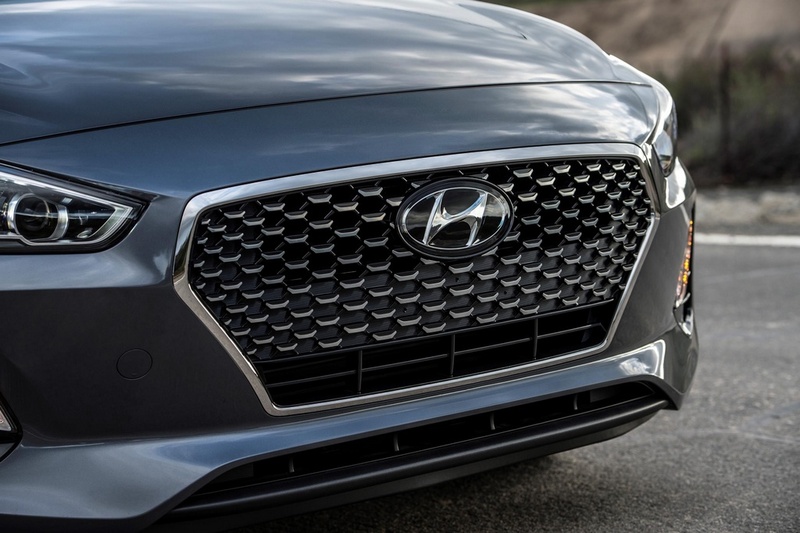 Under the skin, Hyundai used additional high-strength steel, making the new Elantra GT 22 percent more rigid and 60 pounds lighter. There are two engine options, both four-cylinders, starting with a 2.0-liter producing 162 horsepower, or alternatively, a turbo 1.6-liter making 201 horsepower. It should also handle decently, given Hyundai developed the car’s suspension at the Nurburgring. The 2018 Hyundai Elantra GT will go on sale this summer. Pricing will be announced closer to the on-sale date, but we expect it to slot in under the $20,000 mark. 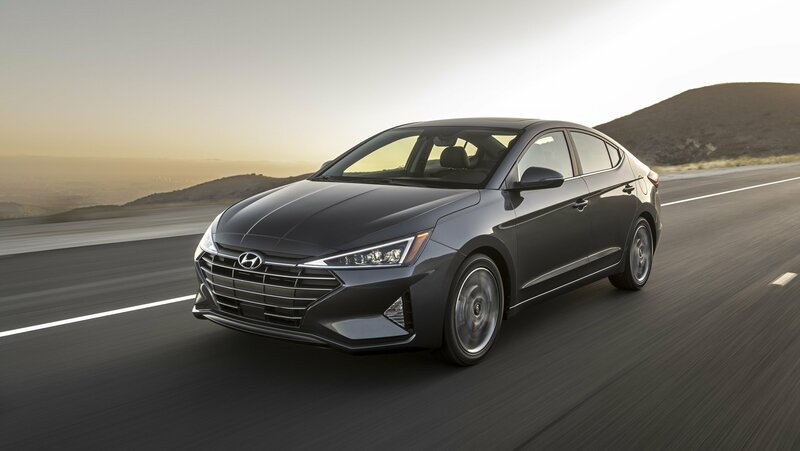 Continuing their ongoing effort to make various different editions of their best-selling models, Hyundai have announced the launch of a GT version of the Elantra at the upcoming Chicago Auto Show. Boasting many sporty features, the 2018 Hyundai Elantra GT complements an expansive range which also includes a Value edition. 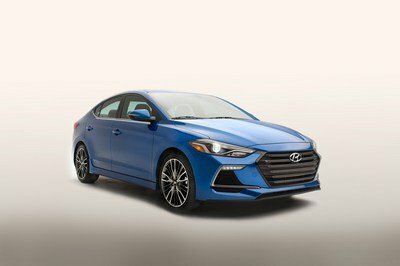 There are literally no official details out yet about the specs of the 2018 Hyundai Elantra GT, but it is not hard to guess what sort of features one can expect from this car partly because we have GT Hyundais before and partly because they have been generous enough to give us some nice teaser photos. So we know the car has a fairly prominent grille, a lip spoiler up front and, presumably, a boot spoiler out back, and a host of red accents and trims and decorative stitching to go with the whole GT theme. As for the technical specs, chances are the 2018 Hyundai Elantra GT will get an iteration of the firm’s 1.6 turbo engine, although a 2.0 liter turbo could also be a candidate. Toughened up suspension, larger wheels and tires, and beefier brakes could be among the other technical highlights of the GT Elantra. The post 2018 Hyundai Elantra GT Gears Up for Chicago Debut appeared first on Motorward. By virtue of its name, Hyundai’s new Elantra Value Edition doesn’t exactly scream “exclusive!,” doesn’t it? Well, it’s really less of an exclusive and more of a new trim level that falls right into the Korean automaker’s identity as a brand grounded on value. That or it simply thought the Accent Value Edition was such a good idea that it decided to extend it to the Elantra. Either way, the Elantra Value Edition is here and just like its Accent counterpart, it gets a generous amount of new bits and pieces and a corresponding uptick in price. But hey, Hyundai says there’s value to be hand with the Elantra Value Edition so let’s run with that. To its credit, the automaker takes “value” pretty seriously, which is why this new trim level is full of some pretty sweet add-ons, particularly for a car of the Elantra’s status that isn’t typically on the receiving end of features like heated front seats and tech features like Blind Spot Detection with Rear Cross-traffic Alert and Lane Change Assist. Not only does the Elantra Value Edition boast of these items, they’re also just a small taste of the many other new goodies that Hyundai threw into the model. There is a lot of value to the Elantra Value Edition and the car’s price of $20,250 is just $3,100 more expensive than the entry level Elantra SE trim. 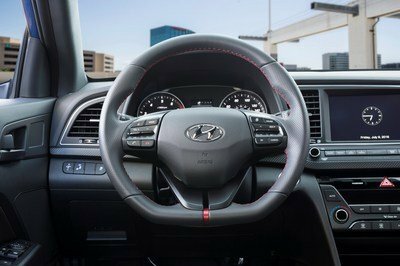 More importantly, at least according to Hyundai, the new features of the Value Edition saves buyers $1,215 compared to getting them all as extra accessories on other trim levels. Say what you will about the absurdity of a trim level being named “Value Edition,” but at least in this case, Hyundai made sure that the “value” it’s touting extends past the model’s name. Continue after the jump to read more about the Hyundai Elantra Value Edition. 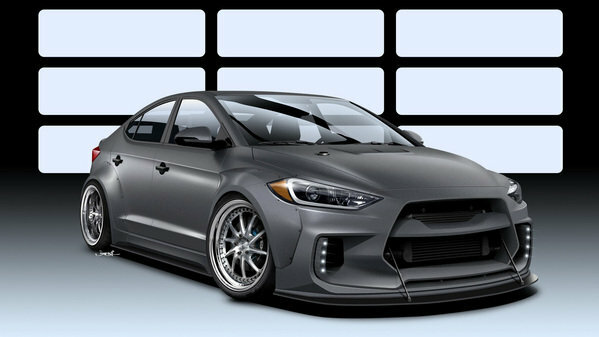 SEMA is creeping up on us almost as fast as winter, and manufacturers are starting to preview some pretty awesome concepts ahead of their official debut. Today we’re here to talk about the Hyundai Road Racer Elantra Concept that was put together through a partnership between Hyundai and ARK. The Elantra is far from anything that resembles a tuner car, but ARK has somehow managed to turn this little family hauling sedan into a decent looking tuner. Of course, it wasn’t easy, but ARK added things like a custom turbo kit, new downpipe and exhaust system, full coil-over suspension, a wide body kit, a nice set of wheels, and a full vinyl wrap, among other things, to create the wildest looking Elantra that you’ll probably ever see. Hyundai’s aren’t exactly known to be something enthusiasts look for at car shows or underground meets. Has ARK proven that even a car like the Hyundai Elantra is worthy of at least a little street credit? Let’s take a closer look and find out for ourselves. 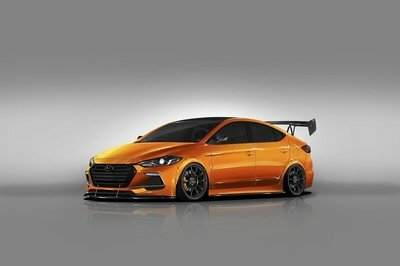 Continue reading to learn more about the Hyundai Road Racer Elantra Concept By ARK. The Elantra has been around for a while, but it started garnering major attention when the fifth generation debuted in 2010. Now in its sixth generation, the Elantra is grabbing more headlines. New for the 2017 model year, Hyundai is adding the Eco trim to the Elantra’s repertoire. This isn’t some hybrid with expensive batteries or electric motors – no, this is simply an honest gas-powered sedan that achieves 40 mpg on the highway. Let’s back up a bit. Hyundai’s last Elantra, the fifth generation, came to market with swoopy lines, a futuristic interior, and an overestimated fuel efficiency sticker hanging in the window. Owners started complaining and the EPA caught on. The Korean automaker ended up reimbursing thousands of owners and got slapped with a $100-million fine from the U.S. Government. Of course, Hyundai’s engineers want to avoid that at all costs, so the development of Eco trim in both the Elantra and Sonata were put into motion. Unlike some “eco” trims on competing cars that merely bolt up low rolling resistance tires and a couple aerodynamic features, Hyundai dove head first with an entirely new powertrain. 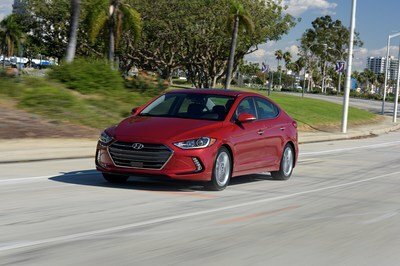 Replacing the 2.0-liter four-cylinder and six-speed auto in the standard Elantra, the Eco gets a unique 1.4-liter turbo mated to a seven-speed dual clutch programmed for the utmost efficiency. It also has low rolling resistance tires, too. I recently got to spend a week with the 2017 Elantra Eco, using it in everyday driving situations between date night and pre-K pick-up lines. Happily my time in the car closely followed a previous week I spent with a non-Eco version, the 2017 Elantra Limited. The two cars are, of course, very similar, though the differences are hard to miss. Let’s take a look.